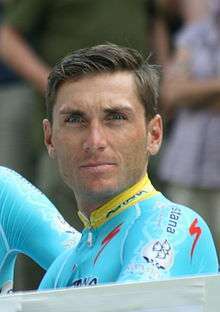 Andriy Askoldovich Hrivko (Ukrainian: Андрій Грiвко; born in Zuya, Bilohirsk Raion, 7 August 1983) is a Ukrainian racing cyclist for Astana. 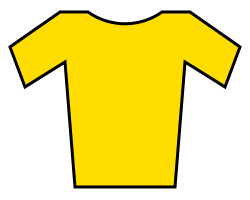 He competed at the 2008 Beijing Olympics in the road race, in which he did not finish, and the individual time trial, where he finished 31st. At the 2012 Summer Olympics, he only competed in the road race, finishing in 17th place. He also competed in the 2015 European Games for the Ukraine in cycling. He earned a silver medal in men's road race. ↑ "individual road race men results - Cycling Road - London 2012 Olympics". www.olympic.org. Retrieved 2015-06-21. ↑ Benson, Daniel (17 August 2014). "Wellens wins the Eneco Tour". cyclingnews.com. Retrieved 18 August 2014. ↑ "Sam Bennett wins final stage of Tour of Qatar". cyclingnews.com. 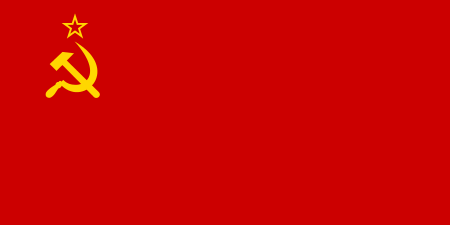 13 February 2015. Retrieved 17 February 2015.